Elizabeth joined BBH, her first taste of the advertising industry, in 2010. The first couple of days were spent in shock (with live bands and face-painting unusual from her past work environments) but she soon got stuck into running the finance department and handling client fees. Elizabeth now manages 12 accounts from a financial perspective ranging from small British charities to Unilever's global business. She works closely with the senior management team and account heads to ensure accounts are run in a transparent and profitable manner, strengthening rather than hindering the overall relationship. Before joining BBH, Elizabeth qualified as an accountant at Microsoft. She worked across a number of divisions, including MSN, managing the P&L and budgeting cycles. For fun Elizabeth loves hiking, skiing and travelling. Her last trip to South America included a fabulous trek through the Andes and she's keen to explore Brazil’s natural beauty and sample the carnival atmosphere of the larger cities. 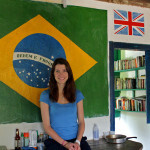 Elizabeth went to Brazil in October 2012 to help Iracambi on a conservation project in the Atlantic Rainforest. The aim was to raise corporate sponsorship to increase the size of the protected forest. Read more about her project here.